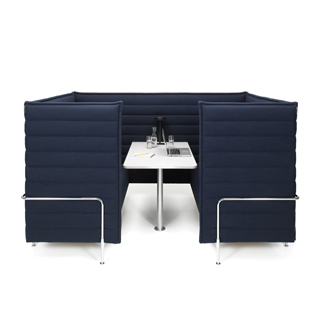 The Alcove Cabin by Vitra provides an open, yet intimate, meeting room in the middle of a lively open office. 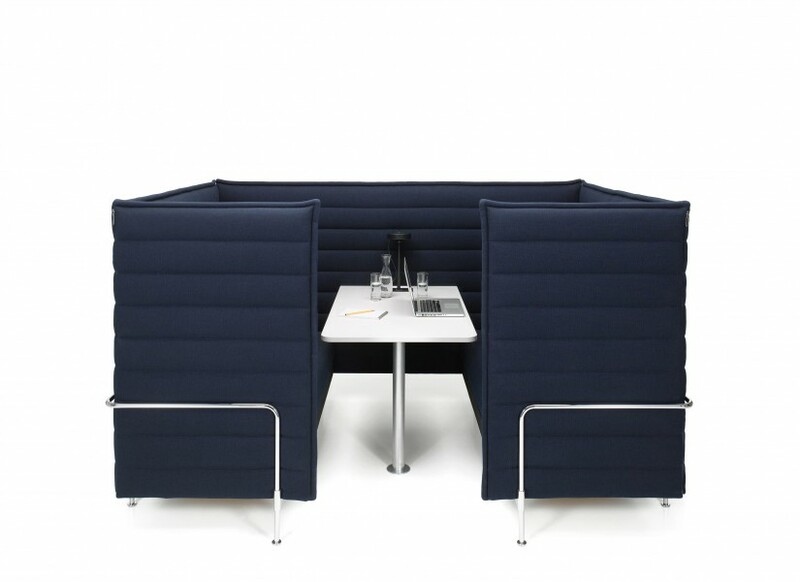 With the simple gesture of placing two Alcove Highback sofas facing each other and closing the sides, the Alcove Cabin becomes an enclosed workplace retreat. 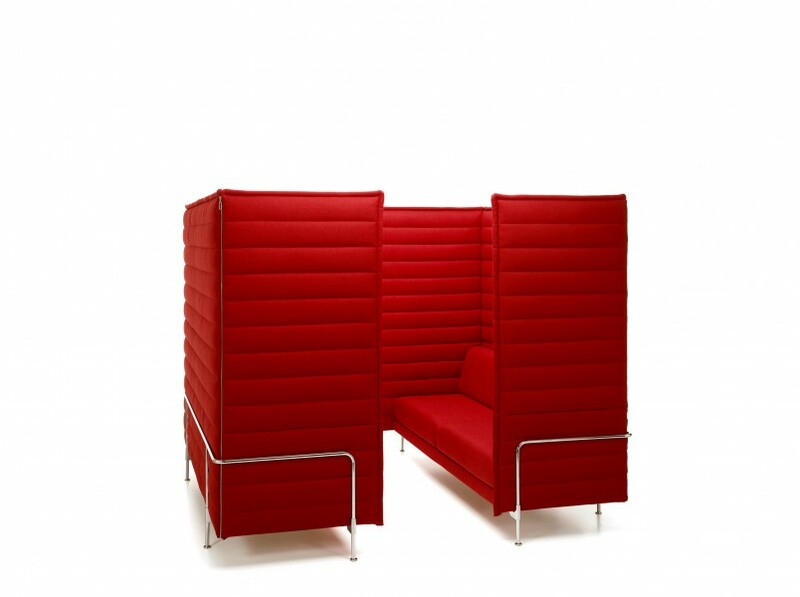 As a rather light-weight mobile architecture, the Alcove Cabin shelters users from visual and acoustical distractions (the version with extra high sidewalls provides extra soundproofing and visual blocking, for particularly busy spaces). 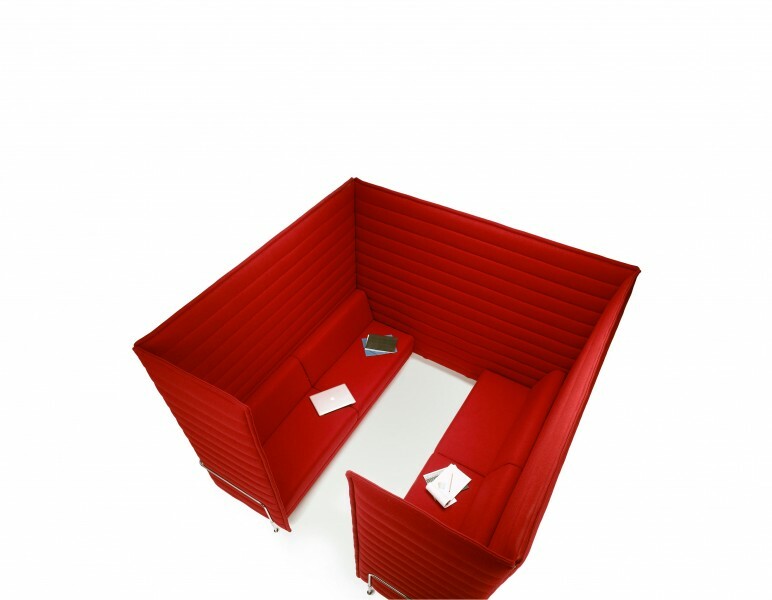 The cabin – a true modern meeting room –, designed for four to six people, is equipped with two firmly upholstered seats, a table, a power supply and lighting.